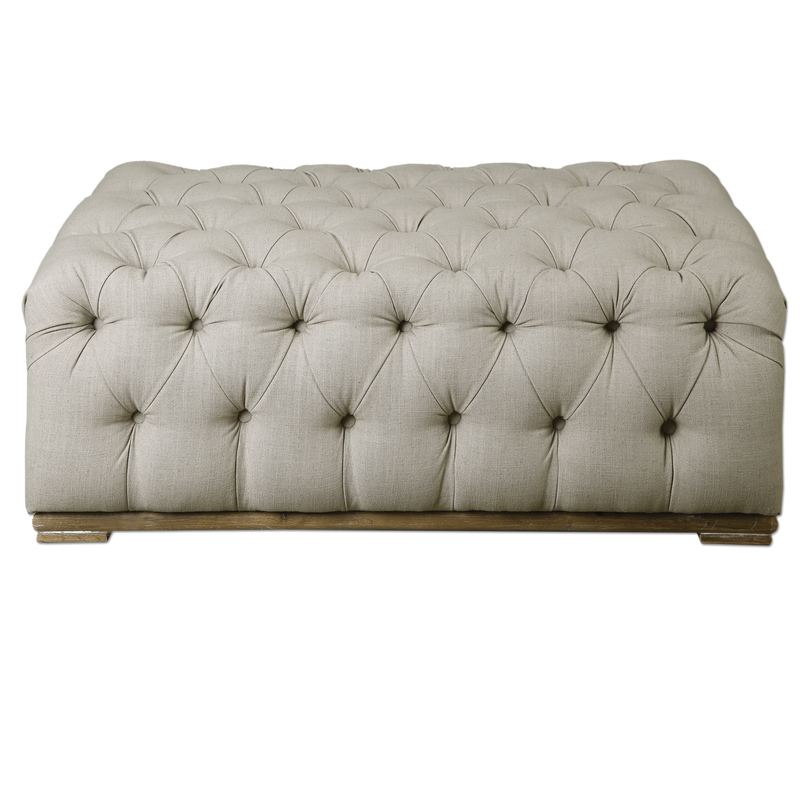 Plush Ottoman Features Diamond Button Tufts In An Antique White Linen On An Oak Base With A Light Gray Wash. The Accent Furniture - Ottomans Kaniel Tufted Antique White Ottoman by Uttermost at Miskelly Furniture in the Jackson, Pearl, Madison, Ridgeland, Flowood Mississippi area. Product availability may vary. Contact us for the most current availability on this product. Browse other items in the Accent Furniture - Ottomans collection from Miskelly Furniture in the Jackson, Pearl, Madison, Ridgeland, Flowood Mississippi area.